The New Pyramid Age: Cuicuilco: The Oldest Pyramid on Earth? visit the store Cuicuilco: The oldest pyramid on Earth? by Philip Coppens In a suburb of Mexico City sits a circular pyramid, partially covered by a lava field from the Xitle volcano. 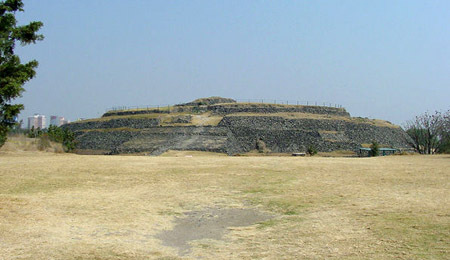 The pyramid of Cuicuilco rises to no more than 18 metres in height, though measures 120 metres in diameter. Excavated for the first time by Mexican archaeologist Manuel Gamio in 1917, the original height is estimated to have been 27 metres. Gamio discovered four galleries and a central staircase that went to the summit. The site was been dated to the 1st century AD, and is believed to have been the oldest pyramid structure in the New World – predating Teotihuacan, north of Mexico City. Cuicuilco may also have been the oldest city in the Valley of Mexico and was roughly contemporary with, and possibly interacting with, the Olmec civilisation of the Gulf Coast. This already makes it highly important. Still, it is not a true pyramid, being rather a truncated conical mound, with a clay-and-rubble core faced with river boulders and basalt slabs. But despite not adhering to the “true” pyramid shape, it nevertheless is as controversial – if not more so – than several other true pyramids. According to translations of ancient Nahuatl, Cuicuilco can be interpreted as the “place of prayer” or the “place of the rainbow”. Cuicuilco was as a farming village, built up around the ceremonial centre that contained the pyramid. Population at the city’s peak is estimated at an impressive 20,000 people. Cuicuilco is, as mentioned, recognised as the oldest known civilisation of central highland Mesoamerica. Its founders were villagers dedicated to agricultural activities and developed a complex religious practice with a sophisticated ritual system that included making offerings of lithic and ceramic artefacts in their funerary practices. The town possessed the earliest hydraulic system of the region and a stele at the base of the pyramid shows glyphs that were associated to the agricultural cycle. Though recognised as “the oldest”, a central question was “how old”? National Geographic discussed Cuicuilco in 1923 (no. 44). In the 1922, Byron Cummings of the University of Arizona became interested in the structure when he learned that a geologist named George E. Hyde had estimated the age of the flow, the Pedregal lava flow, as being 7000 years old. This resulted in an obvious contradiction: how could a pyramid be 5000 years younger than the lava covering it? Cummings decided to confirm or deny and found 18 feet of sediment and ashes between the bottom of the Pedregal layer and the pavement surrounding the temple pyramid. He came up with 8500 years as the timeframe how long it would require to accumulate. If correct, it would make Cuilcuilco by far the oldest building in Mexico – and the oldest pyramid in the world. But immediately, there was a problem, for the eruption of the volcano had never been dated to 6050 BC, but considered to be after 450 BC. It is clearly something was wrong, and the likeliest person to be wrong, was Cummings. Rather surprisingly, his conclusions were not immediately attacked or considered unlikely. Teotihuacan Cummings worked before the invention of carbon-dating and hence he was only able to estimate, not date, the age of the sediments. In fact, rather than 8500 years old, he actually gave a timeframe of 8500 to 30,000 Before Present (BP). Still, Hapgood could be forgiven for not having taken into account the first series of carbon-dating results, which were only done in 1963. 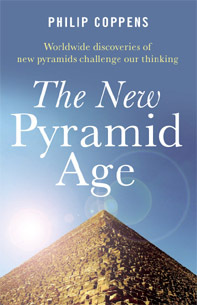 However, today, sometimes the age of the pyramid continues to be described as controversial, despite a second series of carbon-dating that was accomplished in 1994, and which confirmed the conservative date. Science brought answers. Though the dating of Cuicuilco has been ironed out, it was but one episode in a long list of anomalies that have attached themselves to the pyramid. The Spanish physician Hernandez, sent to Mexico by order of (King) Philip II, visited Cuicuilco and wrote to his sovereign about having found the bones of large beasts, along with those of “men” in excess of five meters tall. Natives expressed a belief that Cuicuilco’s enigmatic structure had been built by giants. Whereas the bones of these giants seem to have been lost, the beasts are now believed to have been the toxodon and the titanothere. Furthermore, while Cummings was carrying out his excavations in the early 1920s, the site was apparently visited one night by an unidentified flying light that hovered over the ruins before speeding off into the distance. Huehueteotl The archaeological evidence showed that the city was abandoned around 150 to 200 AD, after the eruption of Xitle. Pottery and other evidence suggest that refugees from the volcanic disaster migrated north and became part of the population pool of Teotihuacan, near the northern shore of Lake Texcoco. It is here that Mexico’s greatest pyramid adventure, to rival the Gizeh pyramid complex, would be accomplished in due course. But despite such a move north, it seems that no-one forgot about Cuicuilco. It became a pilgrimage centre for the refugees and their descendants who came to see the city that the volcano had destroyed. For them, the site must have confirmed several of their “beliefs”, for figurines and stelae from Cuicuilco indicate that the inhabitants worshiped the fire god Huehuetéotl, which is not surprising since the Xitle volcano was likely active during Cuicuilco’s occupation, sporadically rumbling and blowing smoke – and eventually destroying the site. 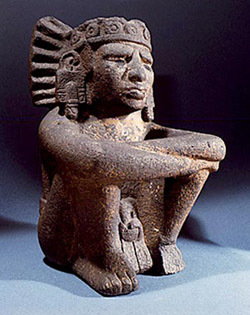 Huehuetéotl, which means “the Old God”, is also sometimes called Ueueteotl. Although known mostly in the valley around Mexico City, images and iconography depicting Huehuetéotl have been found at other archaeological sites across Mesoamerica, such as in the Gulf region, western Mexico, Protoclassic-era sites in the Guatemalan highlands such as Kaminaljuyú and Late-Postclassic sites on the northern Yucatán Peninsula. 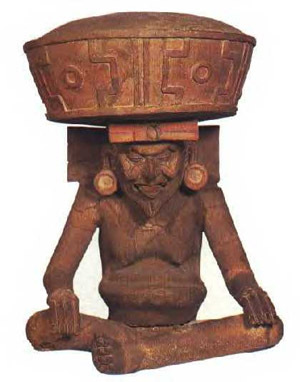 Huehuetéotl is frequently identified with Xiuhtecuhtli. However, Huehuetéotl is characteristically depicted as an aged or even decrepit being, whereas Xiutecuhtli’s appearance is much more youthful and vigorous, and he has a marked association with rule and (youthful) warriors. Hence, Huehuetéotl is often seen as the “old god”. It is therefore clear that Huehuetéotl typified the ruler of a previous age, and Xiutecuhtli the “revitalised” power of rule, similar to the ancient Egyptian tandem of Osiris and Horus. 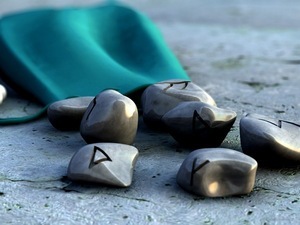 At the end of the cycle of 52 years, the gods were thought to be able to end their covenant with humanity. Feasts were held in honour of Xiuhtecuhtli to keep his favours, and human sacrifices were burned after removing their heart. In the “New Pyramid Age”, we have linked this cycle – and festival – with the New Fire ceremony, which new research has linked with the pyramid complex of Teotihuacan. Central to the New Fire was of course the Old Fire; across the land, all fires were extinguished, and new fires lit, underlining that one era had ended and a new era had begun. At the same time, the king was required to perform certain rituals that were meant to align the intentions of this world with that of the pantheon. Xiuhtecuhtli Whereas a lot of focus was obviously placed on the “New Fire”, it seems that there was also a sacred precinct for the “Old Fire”, linked with the “Old God”, and that this site may have been Cuicuilco. Mythology and archaeology thus are aligned.